A shake-up is in the works for Ontario’s troubled PSW system – one the Ministry of Health promises will allow clients more control and greater choice when it comes to hiring personal caregivers. But reaction from those who currently provide that care, to the formation of a proposed new Crown agency, is mixed. Most of that care was delivered by nurses and PSWs employed by for-profit and not-for-profit agencies. According to Patrick Dicerni, assistant deputy minister in the strategic policy and planning division of the Ministry of Health, the new agency will serve chronic, long-stay home care clients requiring 14 hours a week of PSW home care. A $2.9-million interim operating budget has been allocated for the non-profit corporation and a person has been identified to act as interim CEO. Details of his employment are still being worked out, Dicerni said, as are wages for the government-employed PSWs. Eligible clients?will select and schedule personal support workers from this new government body that will act as an “alternative form of service delivery” in parallel to the existing home care system, a ministry spokesperson said Monday. The new organization will handle security checks, recruitment, retention and payroll, “which we have heard from clients are components they don’t want to take on,” said the spokesperson. The ministry plans to work with three of the province’s 14 local health integration networks (LHINs) in the coming months to launch self-directed care to the most vulnerable patient populations. The move towards self-directed care will contribute to better health outcomes, the spokesperson said, pointing to research that shows it?can lead to increased home care client satisfaction, improved relationships between client and care provider and meeting more of the client’s needs. Ontario Health Coalition welcomed the prospect of a “public home care system,” saying it would eliminate hundreds of redundant company administrations, profit taking, duplicate systems and poor communication and coordination. The coalition said in a statement released today that every province in Canada has a more public home care system than Ontario does. The $1.5 billion spent by contracted home care companies is paid for through taxes, but the provincial auditor has no power to audit the companies’ financial records to verify their numbers, the coalition added. But PSW providers and agencies are concerned that any move to turn personal support workers into provincial employees means the ministry will funnel taxpayer dollars towards more bureaucracy. “Why recreate the wheel yet again by forming another organization that is going to cause more confusion, more chaos in the home care sector?” said Miranda Ferrier president of the 33,000-member Ontario Personal Support Workers Association. Home Care Ontario expressed similar concerns. “Demand for home care has increased in the last number of years,” said Sue VanderBent, CEO, Home Care Ontario. “In this environment, we need to ensure funding is directed towards front line care, not redirected towards potentially duplicative administrative activities. 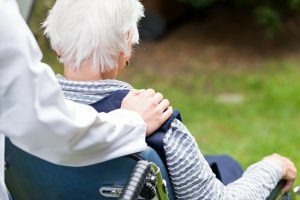 A recent Auditor General’s report found that as much as 39 per cent of home care funding was being spent on bureaucracy, specifically Community Care Access Centres. VanderBent questioned why the agency was being put in place without consulting practitioners, system experts or existing service providers. She urged the government to halt implementation of the agency in order to consult with stakeholders first. PC health critic Jeff Yurek shared those sentiments. The ministry appears to be “siloing PSWs within a new bureaucracy,” he said.